Legos always kept small hands happy in my house. My vacuum cleaner and feet, not so much. I keep wanting to get Legos…. They’re a library favorite, Beth, for sure. What a smaller world it would be without Legos. My grandson visits with a smile and a charge up to ‘his’ room where he opens a secret door and a box of a 1000 Legos wait for his creative play. Priceless. Lovin’ tha alien. LOL Perfect. Legos are one of the best modern toys. Any and all are needed and welcome. Frank Lloyd Wright attributes his architectural success to his blocks as a child (on display at the Children’s Museum in Philadelphia). Legos are next. 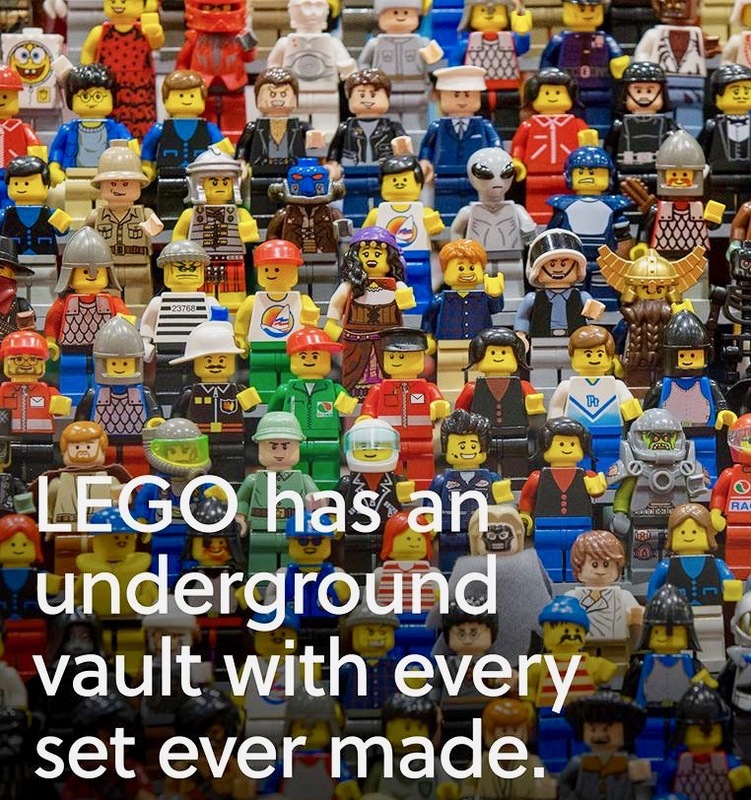 I love the idea that Lego has a vault! This was a fantastic collection you showed, Beth. thanks, robin. not my picture, (see credits at bottom), but i thought it was a good picture with a good sampling of some of the characters, and i’m sure there are many different themes based on what is popular at a given time. i am always amazed by what they come up with. Knowing this brings me a lot of comfort. Good to know. And that totally makes sense. what would happen if we lost a set? The world would end, most likely.